Webmart advertisements (for Rare and Minority breeds of livestock only) will be displayed for three months – please let the Webmaster know if stock is sold before then. Advertisements for half-bred animals will be considered if one parent is of a pure rare or minority breed. Advertisements are generally limited to a maximum of 60 words, and they will be displayed in the order they are received (most recent on top). The best way to find a particular breed on this page is to use your browser's 'Find' facility – usually Ctrl+F – see also Viewing Hints. 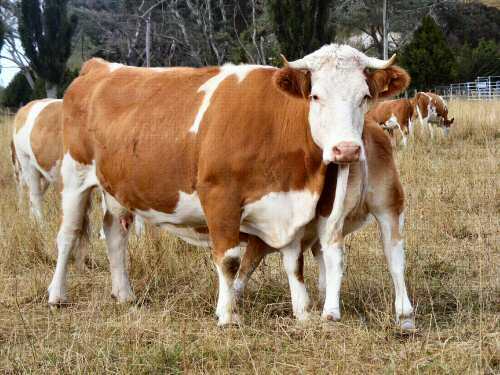 Caveat emptor: The Rare Breeds Conservation Society advises that it is unable to check the quality of stock bought or sold through Webmart and recommends that buyers check any stock themselves before buying. SELL: Large Black sows, about 40 pure sows to go, known as Zenfirma farm, no veterinary products for 8 years. Hardy out-door girls, strict biosecurity, ten years of breeding, many showing in pig. Phone Hadley (027) 202 1960, Huntly. SELL: Pure Khaki Campbell hens and unrelated drakes, various ages, $25 each for drakes and $35 each for hens. calvin (at) rosebuck.co.uk or (0210) 240 4869, West Melton area, for viewing. SELL: Tamworth breeding boar, 2 years old, has produced good litters up to 14! $350. calvin (at) rosebuck.co.uk or (0210) 240 4869, West Melton area, for viewing. BUY: Wanted small flock of Pitt island Merino including non-related ram if possible. Experienced with sheep, have transport, plenty of grass / rougage on organic olive grove. Enthusiastic collector of rare things. hondamad (at) icloud.com. SELL: Khaki Campbell drakes, various ages, all this season, 6 in total available, $25 each. calvin (at) rosebuck.co.uk or (0210) 240 4869, West Melton area, for viewing. SELL: Interested in starting a purebred polled Wiltshire flock? I have a range of stud-bred Wiltshire rams, ewes and lambs available. Located near Rangiora. Please leave a message for Ernst on (03) 312 8351 or text (022) 160 0413 and I will get back to you. SELL: Majestic purebred Arapawa ram, 1.5yrs old. Vet-checked as sound and 10/10 morphology. Horned, brown & white spotted, intelligent, conversational and true to his rare breed lineage. Follows with sheep nuts. Ready for a loving home where he can sire beautifully coloured sheep. Ideal for lifestyle block or rare breeders. Not for eating. $400. Manawatu. Phone Sarah: (027) 540 0401. BUY: Canadian geese a male and female. Contact Philip at philandmay (at) hotmail.com, Waerenga, North Waikato. SELL: Pure Berkshire boar, Pedro, available now only $250. He has produced good sized litters for us, 3 years old. Photos on Trademe. calvin (at) rosebuck.co.uk or (0210) 240 4869, West Melton Area for viewing. BUY: Golden Pheasant male to live with our three lovely ladies, based in Northland. cheryl (at) tlic.co.nz (027) 246 1842. SELL: Khaki Campbell ducklings, 2 weeks old, not sexed, 7 available, $12 each. calvin (at) rosebuck.co.uk or (0210) 240 4869, West Melton Area for viewing. If you would like to have your own Website hosted by Rare Breeds – with a link from your Directory entry (see Associates for examples) – please go to the Information page or contact the Webmaster for details and costs. Reduced rates for members.